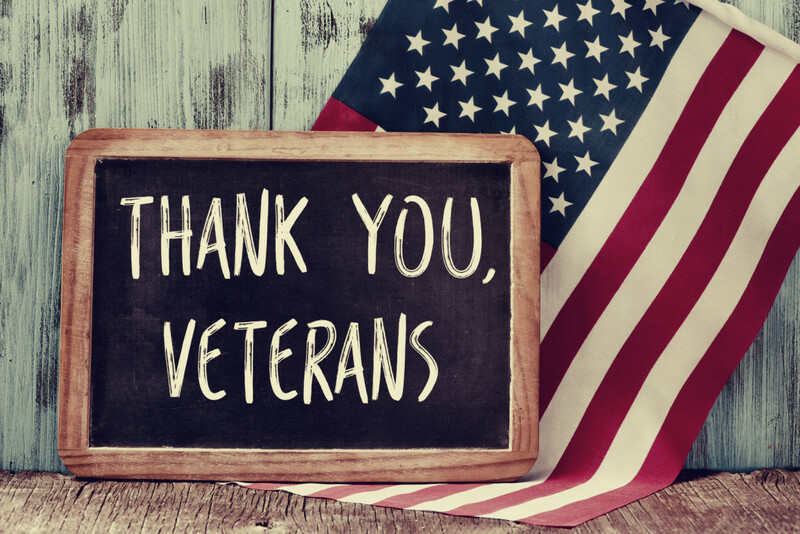 As we mark Veterans Day today, 1 Million for Work Flexibility is proud to share our interview with the team at the Labor Department’s Veterans’ Employment and Training Service about the work they do to support veteran careers. 1MFWF: What is the mission of USDOL VETS? USDOL VETS: The mission of the Veterans’ Employment and Training Service (VETS) is to prepare America’s veterans, Service members and their spouses for rewarding careers, provide them with employment resources and expertise, protect their employment rights, and promote their employment opportunities. 1MFWF: What are some of the unique challenges facing women veterans in particular? USDOL VETS: When women put on a military uniform, they must meet one standard–the military standard. They enjoy standard pay and benefits–equal pay for equal work. But in the civilian workforce, women still earn less than men. One in ten veterans is a woman. That means that for every ten veterans, only one is at risk of earning less than her peers in a civilian job simply because of her gender. In addition to facing the gender wage gap, women are more likely than men to hold positions in low-wage occupations, earn the minimum wage, and to experience poverty–risks that do not discriminate by veteran status. It is because of the overlap of military transition challenges with those of working women in general that DOL VETS makes it a top priority to ensure that our employment services and resources are meeting the needs of women veterans. 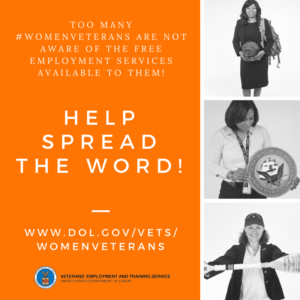 It’s also the reason our Women Veteran Program recently developed a free webinar highlighting the variety of free employment assistance services and resources for women veterans. You can find it both on the VETS website and on YouTube in a short, easy to follow format. You can also download it as a self-paced presentation. You’ll learn about the no-cost online employment training, individualized in-person services, and more intensive case management for veterans who have greater challenges with employment offered at nearly 2,500 local American Job Centers around the country. We know that these employment services are effective for women veterans. In fact, women veterans who use these free employment services find jobs faster and make more money than women who did not serve in the military. The gender wage gap is also considerably smaller for women veterans who use these services to arm themselves with job-seeking skills. 1MFWF: How could broader access to jobs that have flexibility benefit the veteran community? USDOL VETS: Workplace flexibility strategies offer companies avenues to create supportive, inclusive, and diverse workplaces for all workers (minorities, veterans, mature workers, the LGBT population, and individuals with disabilities.) Work flexibility can facilitate effective return-to-work for employees on maternity, family, medical, or disability leave, as well as returning veterans. Companies that use workplace flexibility models find that doing so expands the recruitment of diverse employees, reduces absenteeism, improves employees’ health, and increases the retention of productive employees. Workplace flexibility strategies also can directly or indirectly help employers meet the goals of the Americans with Disabilities Act (ADA), as amended; Section 503 of the Rehabilitation Act of 1973 (Section 503); the Vietnam Era Veterans’ Readjustment Assistance Act (VEVRAA); and Executive Order 11246, which promote workplaces that are inclusive of and free from discrimination against women, racial, ethnic, and religious minorities, and people with disabilities, including veterans with disabilities. 1MFWF: What types of work arrangements might work best for military spouses? USDOL VETS: Military spouses and caregivers can benefit from the kinds of workplace arrangements that offer flexibility, as well as work scheduling choices that can accommodate a variety of options in where and when work can get done. Access to paid family leave is also key—employers who offer a variety of options to hire spouses and caregivers while also allowing flexibility to accommodate their family obligations, often find the most successful matches in what they are looking for. There’s a variety of employment services available at American Job Centers to help military spouses work through the challenges that occur with military base changes. Military Spouses who have specific licensing and/or certifications for prior jobs can work with personnel at American Job Centers to identify any skills gaps that may exist, as well as access training programs within a geographic area. 1MFWF: What are some of the benefits for employers to hiring veterans and their families? USDOL VETS: For employers, hiring transitioning Service members is more than the right thing to do; it is the smart thing to do, as they bring value to your business culture and your bottom line. Companies and industries with a plan to recruit and hire transitioning Service members will have a competitive advantage and access to a consistent pipeline of talent. In addition to all these benefits, the VOW to Hire Heroes Act of 2011 provides tax credits to employers who hire veterans who have been unemployed for more than 6 months: $5,600 for veterans and $9,600 for disabled veterans. DOL VETS assists both local small business and nationwide employers to hire veterans and their spouses with the right kinds of skills they need, by connecting them with the free employment resources found in our nearly 2500 local American Job Centers—making it easier for them to find the right kinds of veteran talent with the right kinds of skills. Sign up for the DOL VETS monthly newsletter #ByTheNumbers for the latest information on veteran employment, and follow on twitter @VETS_DOL. Speaks to the importance of work/life flexibility on so many levels, and such a timely feature to celebrate our veterans. Thank you!